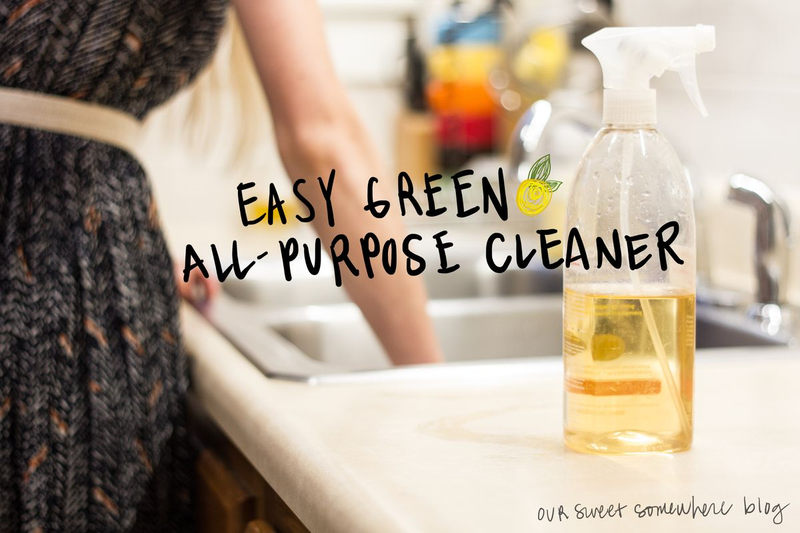 I’ve got a super easy green, all-purpose cleaner for you to try at home. Recently, I’ve been much more aware on what I have been eating and cleaning in order to make both more sustainable and healthy choices. After hearing about how little chemicals are regulated on NPR, I was even more convinced in my switch from harsh chemical cleaners to a more green, all-purpose cleaner. It takes almost no hands-on time, which makes it an easy switch. 2 lemons, halved – Just save your squeezed lemons, maybe from this recipe! 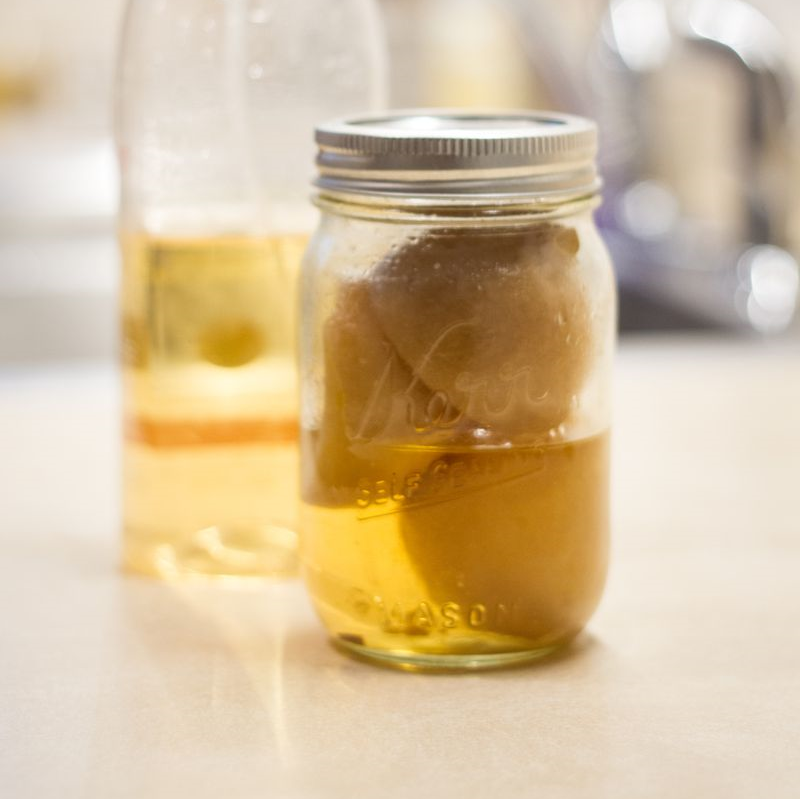 Put your left over lemons and vinegar into the Mason Jar and seal. Leave it under your sink or in a cool, dark location for about a month. The vinegar will turn yellow. Once it’s ready, pour it into your spray bottle to about the halfway point and fill the rest up with water. That’s it! Your green all-purpose cleaner is ready to be used. 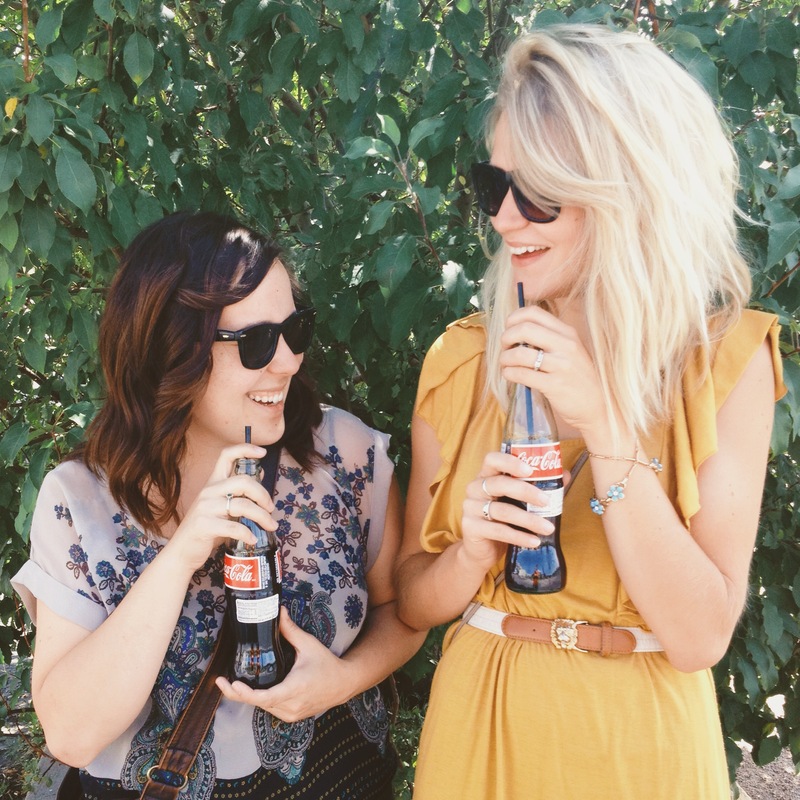 When you see your mason jar running a little low, just refill it with some more vinegar. Sometimes I replace my lemons (when I remember to), but I don’t all that often. Let me know what you think! Also, I would love to hear more green cleaning or eating tips you have.